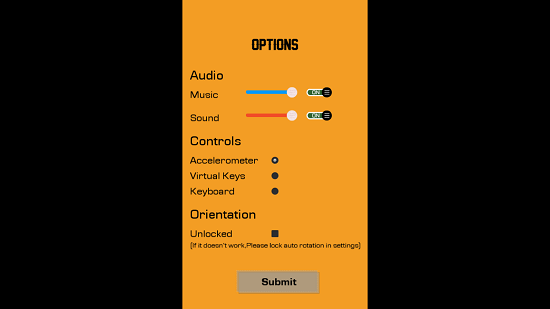 Drive Me Out is a free car racing game app for Windows 8 and 8.1 devices in which you have to control the automatically accelerating car by guiding it to the left or right using the left or right arrows. When you run the game, you will be presented with an interface where you can start the game by clicking on the Play button in the main menu of the game. Then you can select the level which you wish to play by clicking on the appropriate level number. 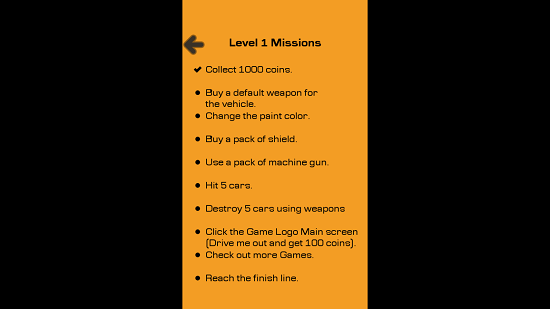 Initially only the first level is unlocked, but as you progress through the levels by completing them, you will unlock the subsequent levels as well. 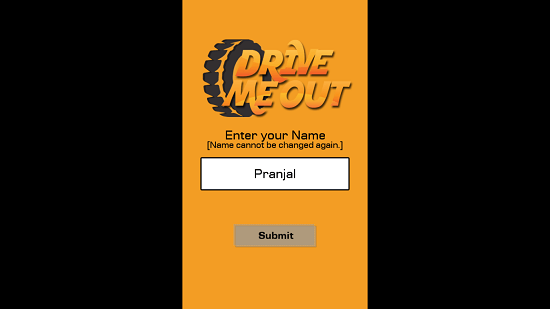 Drive Me Out is available for free from the Windows App Store. When you install and run the game on your device, you will be shown the below interface. In the above screen, you can control the various settings of the game and then click on the Submit button to save those settings. Once done, you will be presented with a screen wherein you can set the name with which you wish to create your player profile. Do note that this name can’t be changed later on so pick a name that you really want. Clicking on the Submit button will save the name with which you want to create your profile. Now, you will be taken to the main menu of the game which looks like the below screenshot. 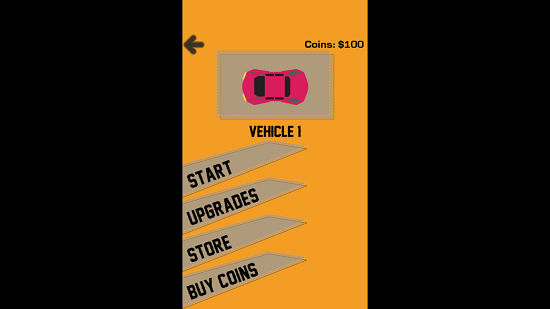 In the above screen, you can change the vehicle by swiping over the car in the box shown at the top of the screen. 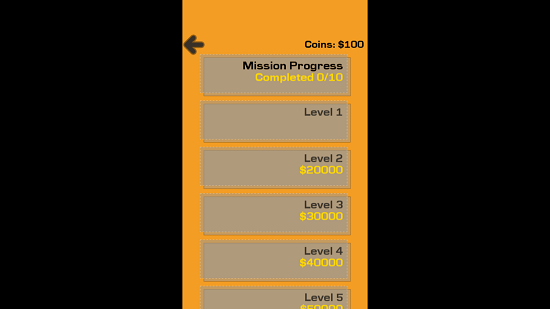 Click on the Start button to be presented with the level selection screen as can be seen below. Once you have chosen the level, you will be taken to the gameplay screen which is shown in the screenshot below. You control the pink car shown in the above screen by using the left and right arrow keys. Your aim is to collect as many money bags on the way as possible. 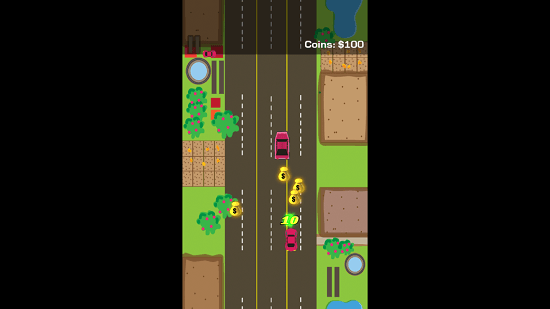 You can see the cash amount at the top right corner of the gameplay screen. Avoid crashing at all costs. If you crash, it’s game over. From the above screen you can choose to restart the level, view the high scores, access the main menu etc. You can also choose to access the Mission Progress by clicking on the same button. 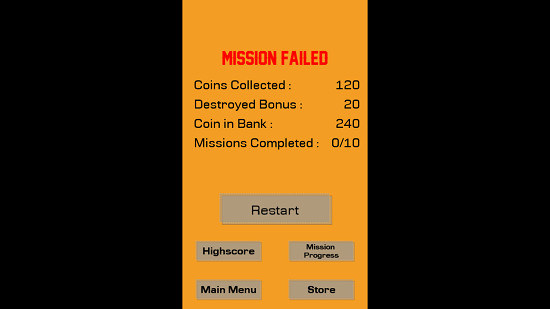 In the screenshot below you can see the Mission Progress. This concludes the main features of Drive Me Out for Windows 8 and 8.1 devices. Drive Me Out is a well-designed game for Windows 8 and 8.1 which makes for a great download on any and all devices running Windows 8 or 8.1. You can get it from the link below.